Interparcel are the largest online parcels broker offering the very best rates to both businesses and consumers. Curve Interactive were asked to redesign their website giving consideration to the user journeys and strategic messaging. The design was also based around a small re-branding. The site was A/B tested alongside the existing site in a live environment and following a marked improvement in the conversion rate it was formally launched launched in Spring 2017. 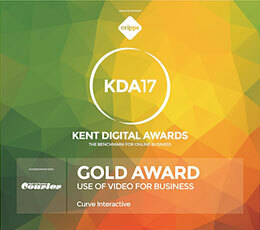 Curve have been asked to produce new creative for email templates, social media and banner ads.